Here’s a noun, there’s a noun, everywhere a noun, noun! If you love solving grammar worksheets, you will like this one especially because this English worksheet is themed like one of our all-time favorite movies, Madagascar. 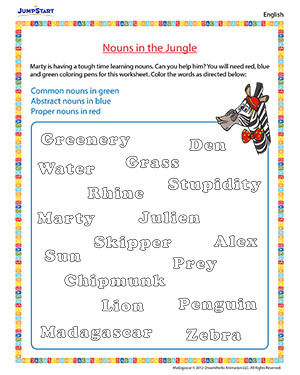 Check out more related Madagascar themed worksheets and have fun learning the language.